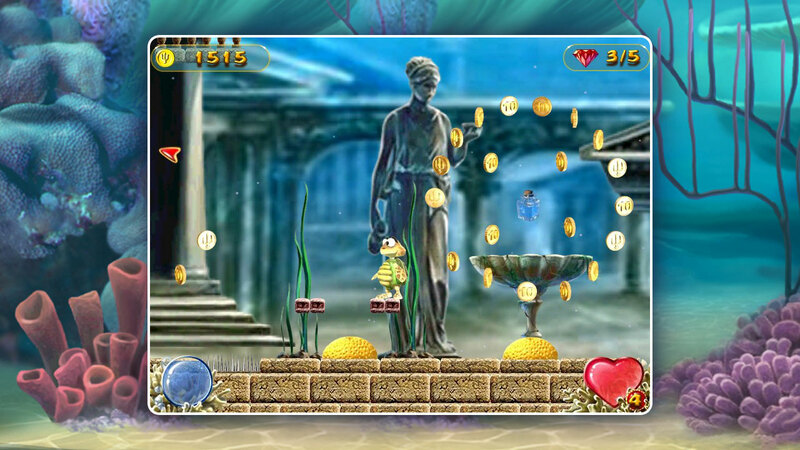 Note: This game is not compatible with Windows 10. 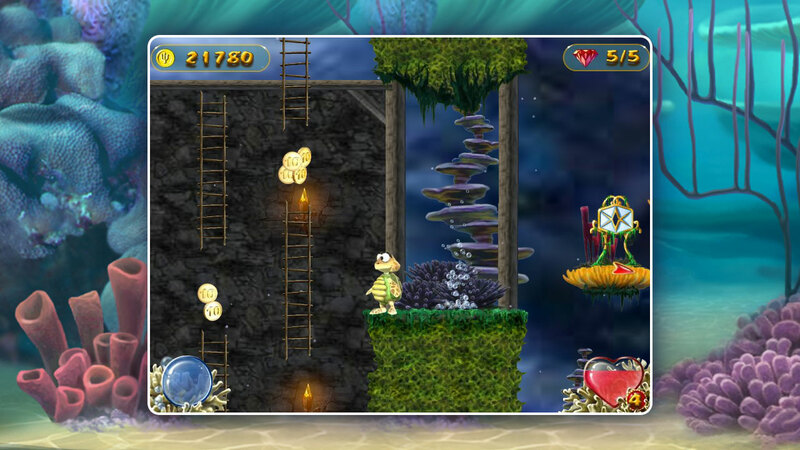 Help a brave little turtle get his shell back in this exciting adventure. 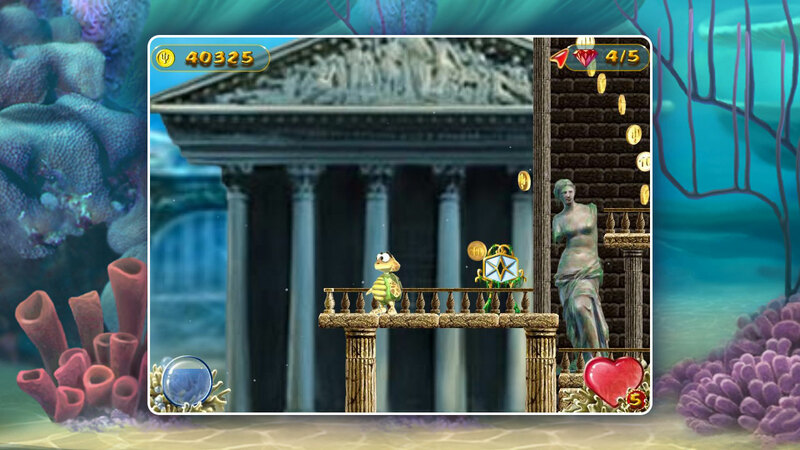 Ozzy the turtle has been selected to track down stolen talismans and capture the thieves. 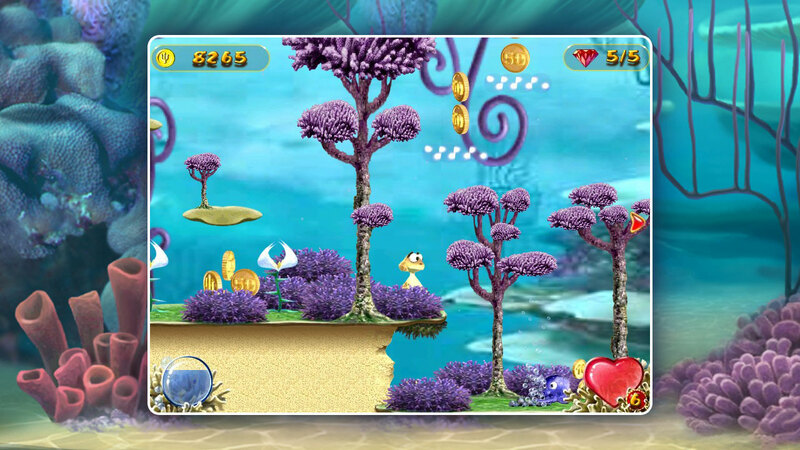 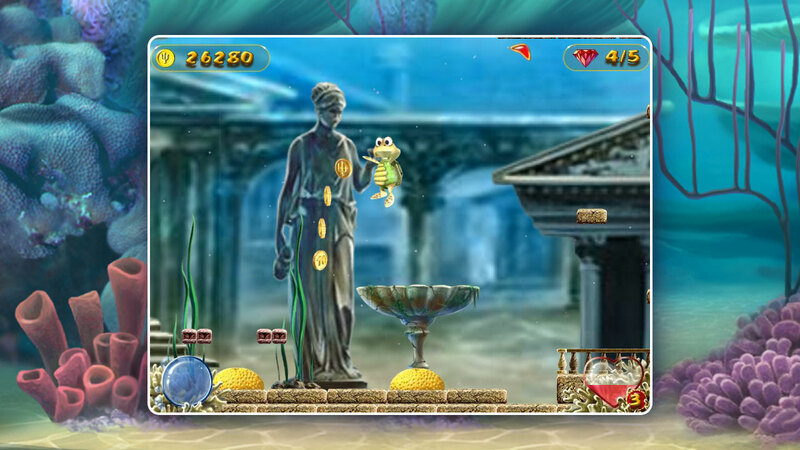 Help Ozzy battle devilfish, sea hedgehogs, and a host of other strange undersea creatures along the way. 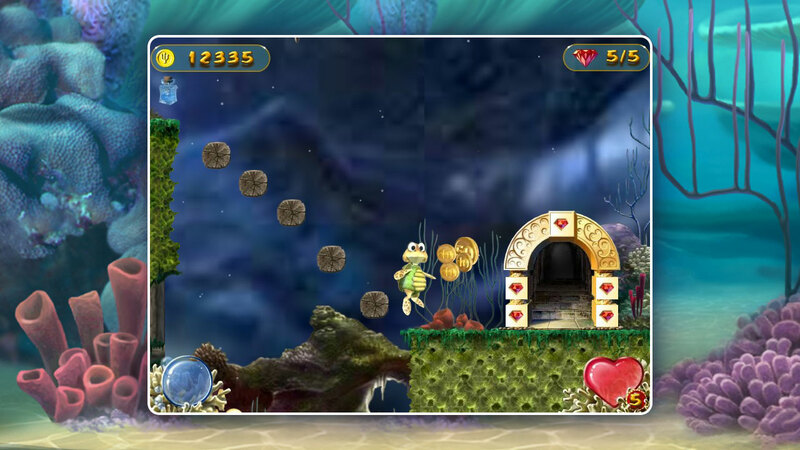 With more than forty levels of fun, there's enough adventure here for everyone. 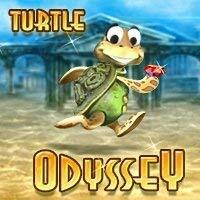 Dive in and start your Turtle Odyssey today!